WATERFORD — As a small business owner State Representative Kathleen McCarty (R-38) understands the risks and challenges of being an entrepreneur. When new businesses open in Waterford, Rep. McCarty is eager to welcome them and wish them well. 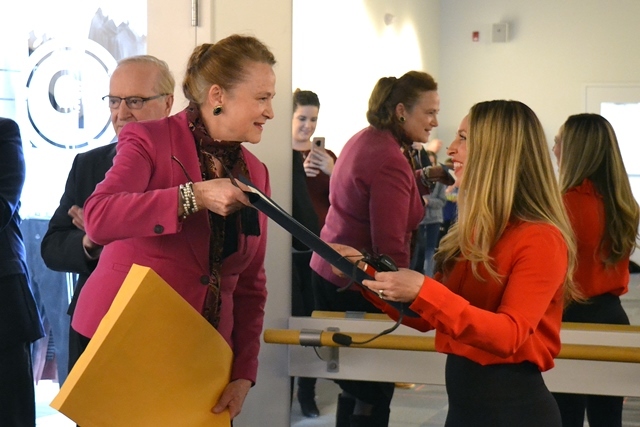 On Friday, January 15th, Rep. McCarty attended the studio’s official ribbon cutting ceremony to present a congratulatory citation from the General Assembly. 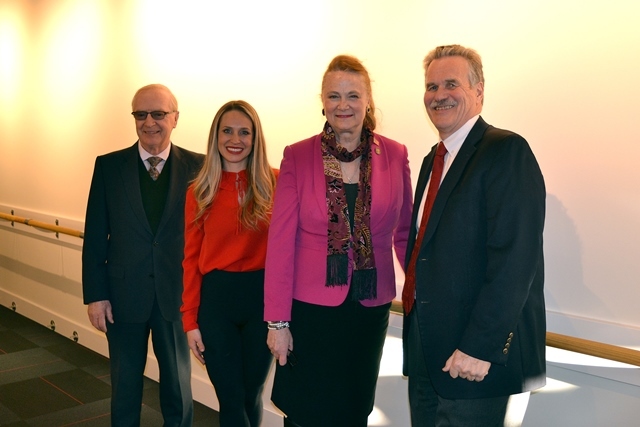 (L to R) Chamber of Commerce of Eastern Connecticut President & CEO Tony Sheridan, Pure Barre Waterford owner Lindsi Bratland, Rep. McCarty and Waterford First Selectman Dan Steward. Pure Barre, a ballet-inspired total body fitness routine that incorporates techniques from yoga and Pilates, focuses on small movements to exercise your muscles and build strength, mindfulness, endurance and flexibility. The new franchise is located in Waterford Commons next to Ulta Beauty. It is the seventh studio in Connecticut, joining ones in Darien, Fairfield, Greenwich, Ridgefield, West Hartford and Westport. 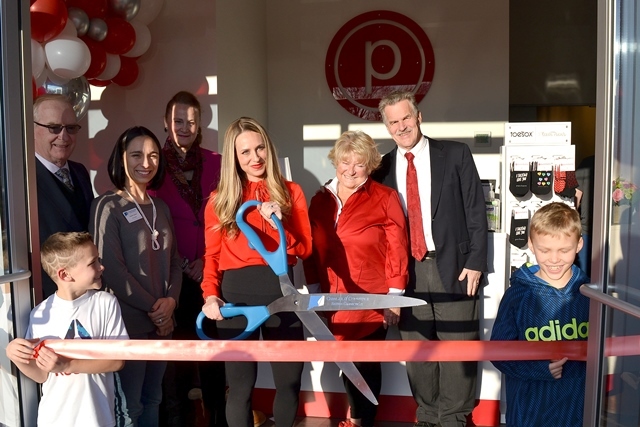 For more information, please visit www.purebarre.com.